The field of sports autographs has exploded in recent years, with the tremendous interest in sports celebrities and, consequently their autograph signatures. At the same time, many sports celebrities have authorized others to sign their autographs for them, and others have created their own businesses in selling their autograph signature. For these reasons, we do not offer for sale any autograph signatures of living sports celebrities, nor by sports stars of recent decades. We do offer for sale autograph signatures of the classic athletes in many different fields from the periods before authenticity became a problem. Robert T. Jones, Jr. (Bobby Jones) dominated the sport of golf in the 1930s, and to many, he is the classic golfer. He was in great demand during his career and signed many autographs; his name was not necessarily familiar to people outside the world of golf and many of these autographs evidently have not survived. Nevertheless, his autograph signature can normally be found. In baseball, Babe Ruth is the classic star, and he continues to be as popular today as he was when he played for the New York Yankees. He readily gave his autograph signature at events, and everyone saved his autograph signature, as his name was synonymous with America's pastime. 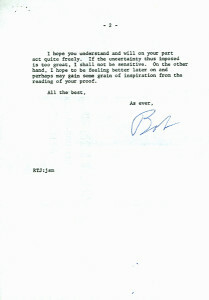 These signatures are frequently found on album pages. 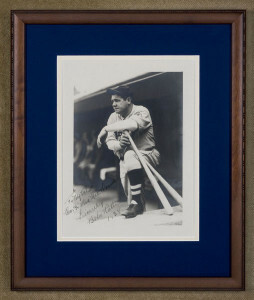 Signed photographs by Babe Ruth are rare as are baseballs signed by him. Unfortunately, many of these baseballs have been varnished in a misguided effort to preserve them. Autograph signatures of Ruth's teammate, Lou Gehrig, are virtually equal in value and are actually scarcer. 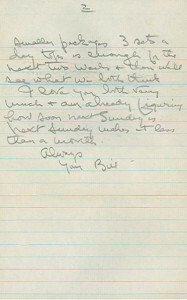 As with Ruth, the most frequently available form is a signed autograph album page. 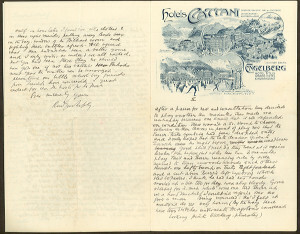 Jackie Robinson's autograph signature is also found on autograph album pages, and also on his checks, a group of which came onto the market some years ago. Jackie Robinson’s popularity is reflected in the value of his autograph. Joe DiMaggio and Mickey Mantle are other classics whose signed autographs are always in demand. Track star Jesse Owens, the hero of the 1936 Olympics, gave his autograph signature freely to fans, and he is still of interest to collectors today. The classic football player Knute Rockne, the most famous name from the early years, is rare. He signed autograph albums, but it was in the day when access to players was relatively limited.